The Maybeck, named for the arts and crafts movement architect, Bernard Maybeck, is a fine tribute to his legacy. A well thought out design brings form and function to the space. 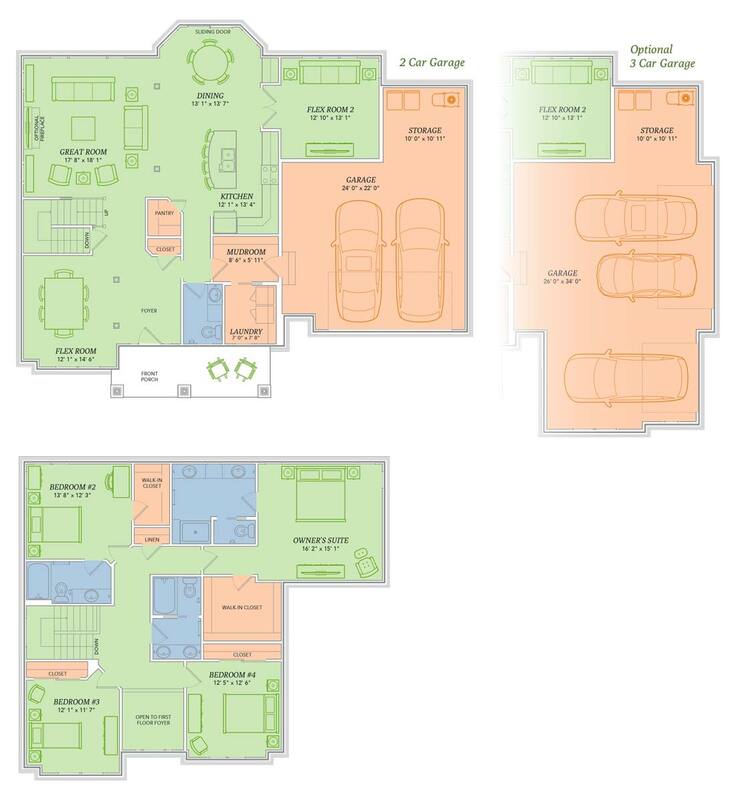 The Maybeck features two flex rooms on the main floor, allowing you to create your own zones. Arts and crafts can be had in the back and perhaps a music room with a baby grand can resonate from the front. What’s more, there are two bedroom suites upstairs – a master retreat and a guest oasis. Take some time to appreciate history, but also make sure to take time to appreciate the now, in your new home. Two flex rooms for formal dining, office, etc.